In November 2018 Australia hosted a series of Caring Dads Facilitator trainings in several locations including Melbourne, Brisbane, Sydney and Perth! 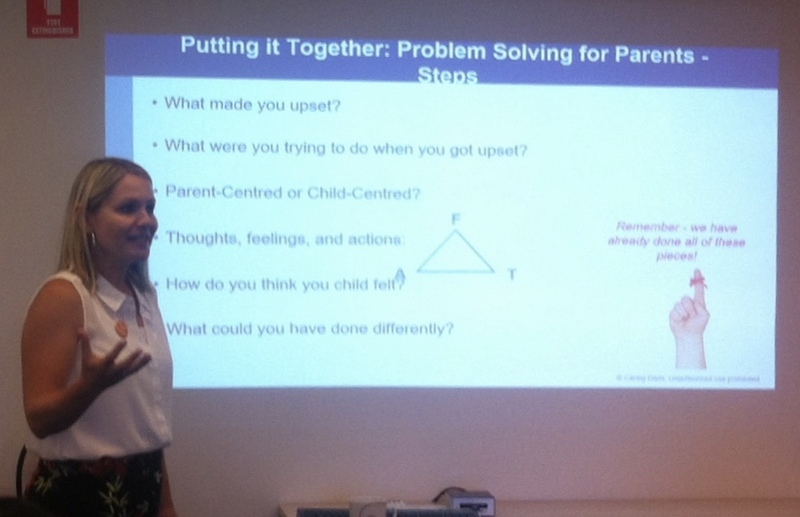 Caring Dads co-creator and Lead Trainer, Dr. Katreena Scott traveled across the globe from Canada and joined forces with Australian trainers to deliver events in Melbourne and Brisbane connecting with professionals within those cities and further developing partnerships. In addition to Katreena travelling to Australia, Caring Dads Community Manager, Sarah Webb tackled the long flight and co-trained in Sydney and Perth. Here are a couple of pictures at the Sydney event which was hosted by Relationships Australia, New South Wales. Sarah co-trained with Monique Yeoman, Caring Dads Statewide Coordinator and Fiona Edwards, Caring Dads Team Leader both from Kids First Australia, Heidelberg Victoria Child and Family Centre. Thanks to Andrew King and Relationships Australia for hosting this event! The Sydney training was a dynamic and enthusiastic group of professionals working across the Domestic Violence Sector and included professionals from Men’s Behaviour Change groups, Women’s Advocate services, Family Mental Health services as well as included Andrew King, Practice Specialist and Community Education Manager at Relationships Australia. Andrew attended the two day training and humbly participated in the role plays and truly enhanced the learning with his expertise. Andrew King is also a respected author of text books and training programs and has devoted a large part of his career to group work, working with men, fathering and domestic violence. Sarah then traveled across Oz to Perth in Western Australia where she co-trained an event with Damian Green, CEO of Stopping Family Violence. Damian Green is a Specialist in FDV policy and practice, with particular interest in perpetrator interventions and men’s behaviour change. This event was hosted by CentreCare in sunny Perth. The participants in Perth were a compassionate and eager group of professionals who worked hard over the two days as well as used humour to make the training fun. This event was hosted by the kind people at CentreCare who provided a welcoming venue and allowed us to take over their lunch room! And last but not least, the Perth event would not have been a success without the huge support of Sharon Tanner, Executive Assistant at Stopping Family Violence who did a lot of work behind the scenes and ensured everyone was comfortable as well as managed the enjoyable meals and even took pictures!